The North Big Phoenix Stream is a very long and prominent river in Northern Lautau Island. 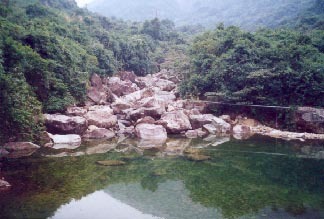 The river runs into Tung Chung area. 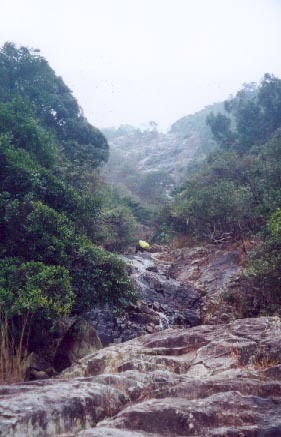 The Tung Chung Road is more or less in parallel with the North Big Phoenix Stream. If you take a bus from Tung Chung along the Tung Chung Road, you can easily discover a huge bony cliff hanging on your the right hand side. This cliff marks the beginning of this right offshoot. It is a relatively short journey but it is pretty enjoyable. This is the middle entrance of the North Big Phoenix Stream. You will find a big pool of water held by a dam. We are now at the door of the right offshoot. 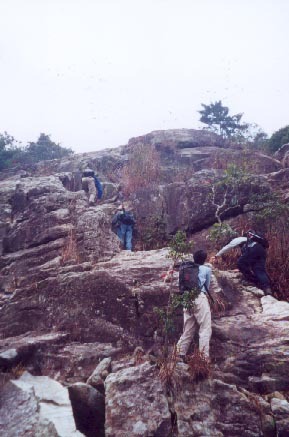 There is a fearsome cliff but actually it is lenient for experienced hikers. We are in the middle of the cliff. Here you will find a junction. Take the right one. 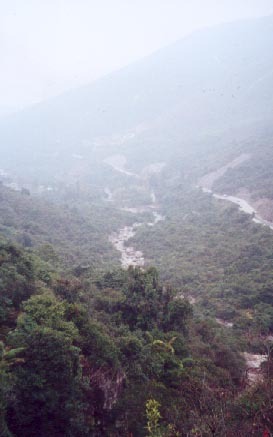 When you look back, the whole lower stream of the North Big Phoenix river and Tung Chung Road can easily been seen. 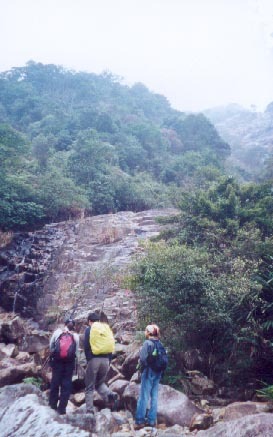 Looking upwards, it is a steep rock wall. 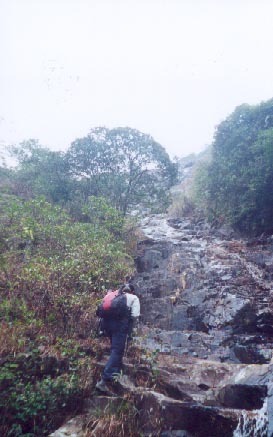 After overcoming this rock wall, the stream begins to flatten off and runs into a forest. 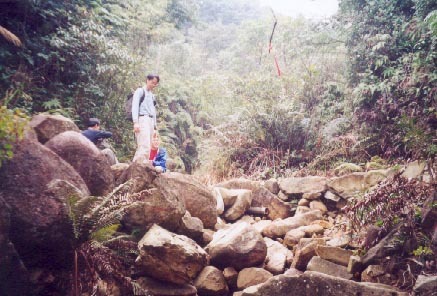 After trekking a while in the forest, you will meet a footpath bringing you back to the main road.